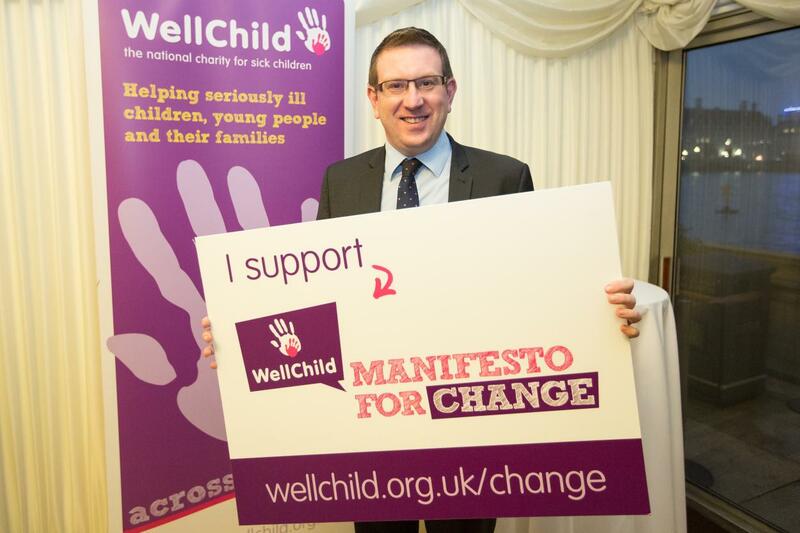 Andrew Gwynne MP attended the launch of ‘WellChild’s Manifesto for Change’, a report which sets out the changes needed to improve the care given to thousands of children and young people with a serious illness or complex care needs and their families. The Manifesto was put together by the national charity WellChild following a lengthy consultation with the families the charity supports and the professionals it works with. It presents a challenge to decision makers to ensure services improve for all families who are caring for children and young people with serious illnesses or complex care needs, whoever they are and wherever they live in the UK. And finally, better access to a flexible, tailored range of high quality care and practical support to enable families to be fully equipped to care for their child at home. At the event Andrew Gwynne met with families caring for a child with complex care needs as well as a selection of WellChild Children’s Nurses who support them. “The issues we raise in our Manifesto – such as better access to training and information to give parents the confidence to care for their child at home; support to enable families to navigate the complicated health, education and social care maze – are issues that have been talked about by families time and time again.